The first news item is from January 2010, during the tenure of that much berated former Health Minister, Mary Harney. The second news item is from this week, during the tenure of the current Health Minister James Reilly, who we are told (frequently) is tackling the waiting list problem. Well, if frequently launching waiting list initiatives and issuing upbeat statements constitutes tackling the problem, one can suppose that Minister Reilly is tackling the problem. Unfortunately, statistics tend to be brutally frank, and the latest waiting list figures would beg the question as to whether anything has really changed since Mary Harney departed Hawkins House in early 2011. Admittedly, the numbers on waiting lists increased substantially during Ms Harney’s tenure after January 2010, and by the time James Reilly came to office in March 2011, three month plus waiters stood at 26,000. After a short period of decline,the numbers are now almost reaching those not so dazzling heights yet again. Ministerial initiatives to tackle waiting list backlogs have been part and parcel of the health planning landscape since before Mary Harney’s time as Minister. Unfortunately, to date they have been no more than more than sticking plaster solutions that so far have failed to tackle the resourcing and organisational problems that have bedevilled proper access to public hospital care for decades, and which have worsened as a result of the economic collapse of recent years. To be fair to James Reilly, his establishment of a Special Delivery Unit to cut waiting lists and improve access to hospital care has had some success. During 2012, the SDU’s intervention did lead to some improvements in treatment waiting lists, particularly for long waiters. By the end of 2012, the total number of three month plus waiters had reduced to 18,773, and among these, only 143 patients were waiting over nine months for treatment. The latter figure is now 3,715. The average waiting time for treatment is now three months, compared to 2.5 months last December. History is repeating itself. Before they started to get out of control, in late 2009, Mary Harney, through the National Treatment Purchase Fund, had got waiting lists down to roughly the levels James Reilly achieved by late last year, before they inevitably rose again. This waiting list roller coaster of recent years has a common theme running through it- diminishing healthcare resources and in particular, inadequate hospital and community resources to deal with pressure points in the system. Can any Minister really keep a permanent lid on waiting lists in a health system that has had more than one fifth of its funding removed since 2008, and with more cuts to come in 2014 and in 2015? Yes, James Reilly can argue that he has had some success with waiting lists and he will deal with the latest ‘slippage’ through a €18 million funding injection (which will probably get swallowed up pretty quickly). But to date it appears that his actions have essentially been ‘fire brigade’ exercises that have yet to deal with systemic flaws in the system. He says the recent waiting list rise was due to a longer ‘clinical winter’ and a higher than normal level of elderly emergency admissions. But if the system is being changed for the better, as we are told, shouldn’t it be able to cope with these surges? If waiting lists are really being tackled, shouldn’t we be seeing a more or less permanent decline in numbers, and not have to be frequently going back to the waiting list drawing board simply because very ill emergency patients are turning up in hospitals and needing beds? It is alarming to note that the Minister admitted this week that the recent pressure on beds caused by higher than usual admissions through EDs had to be be dealt with through reducing the number of planned procedures, thereby increasing waiting list numbers, which then have to be dealt with by yet another special initiative. And the Minister certainly likes his initiatives. James Reilly’s SDU has launched many of these with varying degrees of success. We have had the patchily successful treatment waiting list initiative referred to above. We have had an ED trolley wait initiative, which has has reduced trolley numbers, although the figure are still quite high. Also, figures from the Irish Nurses and Midwives Organisation indicate that recently, the old trolley problem has simply turned into an overcrowded ward problem. We have had two initiatives under James Reilly to reduce waiting times for colonoscopy and gastroscopy tests. Numbers waiting for these tests, often used to check for cancer, are on the rise again. We have had a more recent initiative from the SDU to reduce outpatient waiting lists. With nearly 7,000 waiting over four years for a first outpatient appointment and 380,000 in total on these lists at the latest count, this particular initiative clearly has a long way to go. And then we have the ‘hidden’ waiting lists that don’t normally get officially reported. A recent Irish College of General Practitioners survey of 300 GPs showed that their private patients only had to wait an average of four days when they were referred to a private hospital for for an ultrasound test, whereas their public patients had to wait on average 14 weeks for this test at a public hospital. The average wait for an MRI scan for a GP‘s public patient was 22 weeks – nearly six months. Private patients could get these scans done within seven days, the survey showed. If the GP college didn’t tell us this then we would never have heard about these shocking waiting lists. Up to date figures on average waiting times for GP referrals for hospital diagnostic tests are not published by the HSE or the Department of Health. Another hidden waiting list is where even if patients get into the hospital system, they still have to wait. Diabetes patients in some hospitals sometimes have to wait two to three years for an outpatient check up, where they are already in the hospital system and have already seen a consultant for the first time. Again, these statistics are not revealed publicly by the HSE or Department of Health. James Reilly cannot be faulted for making an effort to improve public patient access to our health system. Yet, through all the swings and roundabouts of fluctuating waiting list and trolley numbers, and the often reported hardship suffered by sick patients through poor access and poor facilities, and Ministerial promises that things are getting better, the underlying message seems to be that our health system still doesn’t work, despite all the ‘spin’. The bottom line seems to be that despite some pockets of efficiency and indeed excellence in the service, our broke statelet simply does not have the resources at the moment to provide a uniform standard of quality care. The hidden truth is that all that can be hoped for is to keep the current system ticking over and hope that not too many people come to too much harm. Resources are often promised, but seldom delivered, to improve hospital services at crucial pressure points, or to fund community and primary care to a proper level take pressure off hospitals and keep patients out of hospital. Until this key issue can be resolved, everything else we are told or retold by Minister Reilly and his junior ministers is essentially window dressing. And as for universal healthcare by 2016 (to be run by insurance companies no less), dream on. via Groundhog day for our failing health system – irishhealth.com. Over 5,600 patients in Limerick are waiting four years or more for an outpatient appointment, according to the latest figures from the Health Service Executive. At the end of February, the Mid-Western Regional Orthopaedic Hospital in Croom had 4,148 patients waiting four years or more. There were 1,473 patients waiting at the nearby Mid-Western Regional Hospital in Dooradoyle. There were 105,632 patients waiting over a year for a first consultant outpatient appointment across Ireland. This represents a small improvement on the figures up to the end of January. The HSE West said that it expects to make significant improvements in the outpatient waiting list for services at the Regional Orthopaedic Hospital in Limerick by the end of this month. It said that all hospitals are validating outpatient waiting lists and historically lists have contained inaccuracies for many reasons. It said the waiting list at the hospital as of 1 May for an outpatient appointment is 7,477. The HSE West said that it aims to have the list validated by the end of May and have no patient waiting longer than a year for an orthopaedic appointment by the end of November. via Four-year wait for over 5,000 Limerick patients – RTÉ News. New figures showing that more than 75,000 hospital appointments have been cancelled over the past three years reveal the pressure on the health service from cutbacks and growing patient numbers. The Health Service Executive says the cancellations are mainly due to closure of wards for cost-containment measures and a lack of capacity caused by emergency admissions. At least 25,317 day-case and 50,433 inpatient appointments were cancelled in 2010, 2011 and the first 10 months of this year, the figures supplied by the HSE show. The total is, in fact, higher, since about 13 of the 40 hospitals do not supply figures regularly to the HSE. Sinn Féin health spokesman Caoimhghín Ó Caoláin said the figures reflected a system struggling with the demand-led emergency workload after staff budget cutbacks. “They simply fly in the face of Minister for Health James Reilly’s so-called reform agenda,” he said. The Irish Patients’ Association expressed concern that the health of some could deteriorate before new appointments were fixed. “The cancellation of appointments, especially at short notice, can cause huge disruption for patients,” spokesman Stephen McMahon said. He said that, separate from any cancellations, over 350,000 patients were on waiting lists for a first hospital appointment. The data for this year shows 6,311 day-case and 12,772 inpatient appointments were cancelled to the end of October. The figures also reveal huge variations in cancellations in different hospitals. St James’s Hospital in Dublin accounts for almost one-third of the total, with 21,782 cancelled day-case and inpatient cancellations over the three-year period. The vast majority were for inpatients . Our Lady’s Children’s Hospital in Crumlin, which treats sick children, accounted for 18,780 cancellations. In contrast, only 140 cancellations are recorded for Portiuncula Hospital in Ballinasloe, Co Galway. Dr Reilly is due to unveil his plans shortly for a radical reorganisation of the health service through the grouping of hospitals in different regions. However, critics claim the process will see smaller hospitals downgraded by grouping them with larger hospitals. Publication of Dr Reilly’s proposals has been delayed until after Christmas. via Cutbacks hit 75,000 hospital appointments – The Irish Times – Mon, Dec 17, 2012. The Government was subjected to an intense lobbying campaign by the pharmaceutical industry earlier this year over a HSE decision not to approve for payment new drugs and medicine. Taoiseach Enda Kenny was warned the decision could have implications for 25,000 jobs and future investment. Early this year, the HSE decided not to reimburse new drugs that had passed all regulatory stages and were becoming available for use in patients. They included drugs for treating skin cancer and cost up to €85,000. In correspondence with Mr Kenny, up to 20 multinational drug firms claimed that the HSE move was portraying Ireland negatively and could have “unintended consequences” for Ireland. The details have emerged against a backdrop of continuing controversy over the price of medicines and Government efforts to curb costs, including the cost of drugs. A recent survey found that the cost of some medicines here is among the highest in the world. It has also emerged that the price paid for drugs in Ireland is of critical importance for pharmaceutical companies as it influences the price in many other countries, both within and outside the EU, as part of an international price-referencing effect. Earlier this year the HSE argued that no specific budget had been provided to it to pay for the cost of new drugs and medicines coming on the market after approval. However, the multinational drug companies argued that a ban on reimbursing new drugs by the HSE represented a breach of a supply agreement with the State. In June Minister for Health James Reilly reached an interim deal with the pharmaceutical industry that involved reductions in the price of certain off-patent medicines. He claimed this could save up to €20 million in a full year. As a condition of the agreement the HSE was obliged to add to its list of items for reimbursement “drugs which in the normal course of events would have been approved under its schemes”. In effect, this meant that the HSE could not refuse to pay for drugs for financial reasons. In October the Government secured a full agreement with the pharmaceutical industry which it said could generate €400 million in savings over three years. In return for making price concessions, the pharmaceutical companies reinforced the principle that new medicines will be approved under the HSE’s drug schemes once they have been proven to be cost effective. However, new documents released by the Government show that Mr Kenny received strong representations on the cuts by leading pharmaceutical companies. The letters had been written in February and March and many struck a similar tone. In one, the president of Eli Lilly, John C Lechleiter, was concerned that “your Government’s recent decision not to reimburse new medicines puts at risk this aspiration and portrays Ireland negatively to inward investors such as Lilly”. via Major drug companies lobbied Kenny over HSE scheme – The Irish Times – Mon, Dec 10, 2012. Health Minister James Reilly has said only 5% of elderly patients will have their full medical cards taken off them under eligibility changes announced with the 2013 Budget. However, further as yet unspecified cuts to medical card entitlements for other age groups are also due to take place next year and are to be revealed in the HSE‘s forthcoming 2013 service plan. The Department of Health old irishhealth.com are to be changes to the medical card means test next year, but so far no precise details of this have emerged. The Government had been under pressure from the Troika to tighten up on medical card eligibility. Minister, Reilly, having promised on coming to office last year that he would abolish the 50 cent medical card prescription charge, has now trebled it to €1.50 per prescription item, subject to a monthly maximum charge of €19.50 per family. This increase has been ‘due to the current financial climate’. Under the over 70s medical card changes, the Minister said 92% of over 70s will still have medical cards, while 5% will no longer have a full card but will qualify for a GP visit card, while the wealthiest 3% will have neither card, which is the same percentage as at present. Dr Reilly said single over 70s earning €600 to €700 per week will lose their entitlement to a full medical card, while those earning over €700 per week already do not qualify for a card, following the last review of eligibility in 2009. The new thresholds are double for elderly couples. Elderly people who will be downgraded to a GP visit card will now have to pay drug costs up to €144 per month, following a new rise in the drug payment scheme threshold. GPs and other professionals providing services under the medical card and other State schemes are to have their fees cut further. Dr Reilly told a press conference on the health measures in the Budget that €781 million will have to extracted from the health service in savings next year. By the end of 2013, this will bring the amount cut from the health service in the previous four years to around €3.3 billion. The service is to get €13.626 billion for everyday expenditure next year. According to the Department of Public Expenditure, this will be reduced to €13.420 billion in 2014, when further health cuts will be required. However, Dr Reilly said the lesson over the past year had been that by reforming services, more had been done with fewer resources, with inpatient waiting lists and trolley numbers reduced. He admitted, however, that next year would pose great difficulties. Dr Reilly stressed the need to promote a greater level of generic prescribing. He said there were some drugs that were of the same class that were one-third the price of the other drugs in that class. There would be legislation and initiatives to promote more generic prescribing. The bulk of the €781 million in savings will come from €323 million in primary care scheme savings – this includes the medical card scheme. * A projected €120 million from agreements with the pharmaceutical industry on drug cost cuts. * A projected €70m from reductions in fees to primary care health professionals. * €50m from the increase in prescription charges. * €20m from changes to medical card means test. * €12m from replacement of medical cards with GP visit cards for persons over 70 in excess of certain income limits. * €10m from increasing the threshold in the Drugs Payment Scheme. * €15m from ‘delisting’ certain products from the medical card scheme. * €20m from promotion of more cost-effective prescribing practices by GPs and consultants. * €5m from a reduction in reimbursement prices of oral nutritional supplements. The remainder of the total €781 million in health service savings will come mainly from ‘pay related savings’, as yet unspecified; increased generation of private income from public hospitals – a measure that was promised for 2012; a net saving on the Department’s vote, and savings in procurement. Dr Reilly declined to be drawn specifically on what pay savings in health might arise from an extension to the Croke Park Agreement. However, areas such as rostering were being looked at. Asked what level of cuts in their allocation hospitals might face next year, Minister Reilly said there would be details of hospital allocations in the HSE’s service plan when published. Minister of State at the Department of Health Alex White indicated that the €20 million planned to be spent on primary care staffing this year but which was reallocated to cover the HSE’s deficit would be spent next year. However, there is no specific provision for this expenditure in 2013 in the Book of Estimates. Funding is to be allocated for the initial phase of the planned free GP care scheme for people with certain long-term conditions, Mr White said. Minister of State Kathleen Lynch said a further €35 million would be spent on mental health services next year. She said all of the €35 million allocated for development of these services in 2012 was not spent. via News stories about the Irish hospital system. We are a society that appears trapped in a dark, depressing tunnel and we are slowly developing a dog-eat-dog mentality along with a hardness of heart that appears to make us almost totally immune and indifferent to the pain and suffering of many of our fellow citizens. Every week more and more cutbacks are inflicted on many of our most vulnerable people. Only last Sunday RTÉ Radio reported on the sad situation of a Co Mayo mother caring for her child who has a serious disability. She was originally allocated eight hours’ home help, this was subsequently reduced to five, and just recently she was told by the Health Service Executive that the five hours were now being withdrawn as they were required for a more deserving case. This callous decision means that this mother is left on her own to care for her child 24 hours a day, seven days a week. A great example of when the lowest common denominator is used to decide on the merits of a case – you think that you are badly off but I know someone who is worse off. It must be remembered that the home help programme was introduced to support a government policy that encouraged families to care in their homes for their loved ones in order to facilitate the freeing up of beds in hospitals and other residential centres for more urgent cases and, of course, to save money. The ongoing reduction, and in many cases the total withdrawal, of home help hours has been nothing less than a betrayal of the individuals and families who have so generously participated in this scheme over the years. During the past year one million hours have been cut from the home care service, leaving in its wake great hardship and frustration. The most recent announcement by the HSE of a further reduction in hours to save an extra €8 million, made so close to Christmas, is a Scrooge-like decision and how any society can support such a miserable attack on such vulnerable people is sad indeed. And I must stress that people selected for home help are almost totally dependent on the support of their carers for their very survival. Surely no economic crisis can justify such decisions. The result is that both those being cared for and their carers are all suffering great hardship and stress and many are at breaking point. Many will end up back in hospitals, nursing homes and in special care units, defeating the very purpose of the whole scheme. Also this past week the principal of a primary school in Bluebell in Inchicore, Dublin, went public to say that she had no money to have essential maintenance work carried out in her school. It appears that the funds available from the Department of Education for emergency repairs in schools are no longer available, and the principal had to rely on the goodwill and generosity of some members of the public who became aware of her plight. The Irish Principals’ Network claimed that 46 per cent of primary schools were operating on a deficit, and the dropping of the emergency repairs funding will inevitably plunge many schools into dire straits; many will not be able to pay for light or heat. And primary schools were already under pressure because of cuts to their capitation grants which fund the day-to-day running of schools. Add in the savage cuts and reduction in special needs assistants and other support services in both primary and secondary schools and it becomes obvious that once again it’s the poor and the most vulnerable who are targeted during recessions and they most definitely pay the biggest price – a price, incidentally, that is almost impossible to measure. Yes, of course we can measure in financial terms what the State saves but what about the human costs? Primary education is the most important and precious of all our strands of education and if we continue to neglect it we will in time pay a huge price as thousands of children will lose out. Last week I attended a seminar organised by childcare residential managers at which many of those present expressed their frustration and anger at the State’s failure to care adequately for many very vulnerable children and their families, and in many cases the examples given were nothing short of neglect. Earlier this year the report on the deaths of children in care concluded that almost 200 children had died, after the original figure given by the HSE was fewer than 30. This report generated a strong public reaction and lots of anger and rightly so. These were children who were failed by the State and all had paid the ultimate price. At the time of its publication I expressed the view that the report was long overdue and at last the real cost of the State’s neglect of vulnerable children was being recognised. But I did highlight the fact that it was restricted to reviewing the cases of children who had died. What about the many hundreds or perhaps thousands of children who were equally failed by the State but survived in so far as they are still alive? What price have they paid in terms of their health and their general wellbeing? How many have experienced homelessness, addiction, imprisonment, mental health problems or lives of unemployment as a direct result of their neglect? The answer is we don’t know. I can vouch for the fact that most charitable and voluntary organisations are working on a knife edge and will not be in a position to sustain any further cutbacks in financial resources with the result that many essential family and child support services will be reduced or lost. Like all budgets, this year’s is about choices, and I know where I stand on such choices: I am more than willing to give more to help those who are in dire need and I believe that there are thousands of like-minded people in our society. Many in Irish society, young and old, have soaked up and tolerated huge hardship over the past four years or so; many are left with no real quality of life and the most vulnerable have suffered most of all, the old, the sick, children born into and living with poverty, children and adults with physical and mental disabilities, the unemployed and the elderly living alone. At this stage people need to be reassured that their lives are going to improve but most definitely that they won’t get any worse. Next Wednesday’s budget can be a new beginning or it can be the straw that finally breaks people’s resolve. One thing is certain: any more cutbacks for those on the margins of our society will have catastrophic consequences. via No economic crisis justifies what vulnerable are paying – The Irish Times – Sat, Dec 01, 2012. The husband of Savita Halappanavar is considering lodging a complaint to the Ombudsman to assert his ownership of his wife’s medical notes, his solicitor has said. Gerard O’Donnell said he had taken instructions from Praveen Halappanavar to seek direction from the Ombudsman on whether he or Galway University Hospital owns her medical records. Mr Halappanavar has objected to the use of his wife’s notes in a HSE inquiry into her death. He has said he has no faith in a HSE-run inquiry and does not want her notes used in it. Mr O’Donnell had asked that the hospital, where Ms Halappanavar died last month, hand over the original medical notes. However, the HSE has said it owns them. A spokesman for the Ombudsman said last night it was unlikely her office would have a role in this dispute. Mr Halappanavar met Minister for Health James Reilly for 25 minutes yesterday in Galway. Ms Halappanavar died on October 28th, having presented a week earlier at the hospital with back pain. She had been 17 weeks pregnant and had been found to be miscarrying. Mr Halappanavar says she asked repeatedly for a termination and this was refused as the foetal heartbeat was present. The Health Information and Quality Authority will publish the terms of reference of its inquiry into her death next week. The investigation, for which no time span is indicated, will make use of outside expertise, a spokesman indicated. In a statement, the authority said it would investigate the safety, quality and standards of services provided by the HSE at Galway University Hospital to “critically ill patients, including critically ill pregnant women, as reflected in the care and treatment provided to Savita Halappanavar”. Mr Halappanavar said after yesterday’s meeting with Mr Reilly that he was pleased to finally meet a Government representative four weeks after his wife’s death. He said he stressed to the Minister that he did not believe the HSE or Hiqa investigations would be far-reaching enough. “I’m just glad that we met and he just passed on his condolences to the family,” said Mr Halappanavar. Mr O’Donnell said his client was prepared to go to the European Court of Human Rights if an independent public inquiry was not set up. Galway University Hospital last night confirmed it would co-operate fully with the Hiqa inquiry. via Husband may lodge complaint with Ombudsman – The Irish Times – Sat, Nov 24, 2012. 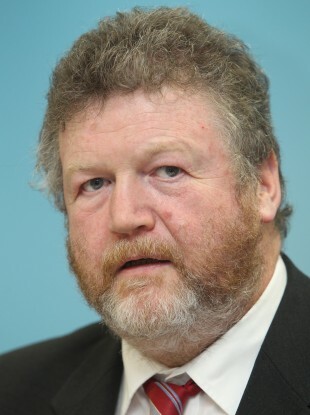 THE top civil servant in the Department of Health launched a probe into his own minister, Dr James Reilly, in the wake of the controversy over the decision to locate two primary care centres in his constituency. Ambrose McLoughlin, the department’s secretary general, ordered an investigation after revelations in the Irish Independent that a supporter of Dr Reilly owned the site of a proposed primary care centre in Balbriggan, Co Dublin. The revelation that Mr McLoughlin moved to investigate his own minister will heap further pressure on Dr Reilly, who has faced criticism over his handling of the Savita Halappanavar tragedy and HSE overspending. Informed sources said it was Mr McLoughlin’s “sole decision” to launch the probe and Dr Reilly was aware it had been launched. The move by Mr McLoughlin to initiate an investigation into the matter came as Mr Reilly was facing intense scrutiny over the controversial decision. It also followed junior health minister Roisin Shortall‘s resignation after Dr Reilly bumped two towns in his constituency up a priority list for primary care centres. via Minister’s aide set up probe into Reilly care centre links – National News – Independent.ie. Crucial information including repeated requests for a termination were not recorded in Savita Halappanavar’s medical records, her husband’s solicitor claimed yesterday. Gerard O’Donnell, representing Praveen Halappanavar, said the notes covering her care on Monday, October 22nd, when it is alleged she made her first request for a termination, were “particularly scant”. “It’s almost as if a whole day is missing from the notes,” he said last night. He said while there were records kept of her having cups of tea or of her husband asking for extra blankets for her, there was none on the requested termination. She contracted E-coli and septicaemia and died four days after the foetus. Mr Halappanavar has said the first request was made on Monday 22nd and that the consultant said she would have to check if this was permissible. Mr Halappanavar has told The Irish Times the consultant returned on Tuesday morning. He said she told them a termination was not possible as long as the foetal heartbeat remained, and made the “Catholic country” reference. Also in the room, he has said, were a family friend, two junior doctors and a midwife. Mr O’Donnell said he wrote to Galway University Hospital on November 2nd asking for copies of Ms Halappanavar’s medical notes and received them on November 16th. Minister for Health James Reilly was asked about the claims of gaps in the health records in Sligo last night. He said: “Obviously this is of concern and this is a substantive matter for the investigation”. HSE director general designate Tony O’Brien said information that Mr Halappanavar had that would “speak to any inconsistencies between what’s in the record and his personal knowledge would be of great value to the review team”. Meanwhile, advocacy group Patient Focus said its representative on the HSE inquiry team would walk away from any investigation which was not about getting to the bottom of what happened. via Key data on termination request ‘not recorded’ – The Irish Times – Fri, Nov 23, 2012. The expected announcement of a second State inquiry into the death of Savita Halappanavar is “an extra dimension, rather than a U-turn”, according to Minister for Health James Reilly. The board of the Health Information and Quality Authority is expected to confirm today that it will undertake a statutory investigation into Ms Halappanavar’s death, following a request from the Health Service Executive. It was unclear last night whether her husband Praveen, who says he will have nothing to do with the HSE inquiry, will co-operate with the investigation to be conducted by the authority, which is the State’s health watchdog. His solicitor Gerard O’Donnell last night said he was “not ruling out” participation in the Hiqa inquiry. However, it was key for his client that it “sits in public, is open and witnesses are called”. The authority, which has run well-received investigations into Tallaght hospital and misdiagnoses in the health system, conducts its investigations in private and does not take statements under oath but is free to draw up its own terms of reference. Dr Reilly welcomed the involvement of Hiqa, saying it would provide “even greater ventilation” of the issues at stake in Ms Halappanavar’s death at Galway University Hospital, his spokesman said. Asked why the Minister had not used his powers under the 2007 Health Act to order Hiqa to investigate the matter in the first place, he said the HSE was following a protocol, which requires it to get clarity about the facts involved and ensure that a safe service was being provided for patients. “I wouldn’t see it as a U-turn. At all stages, the first thing the Minister wanted was absolute clarity about this death,” he said. Dr Reilly is due to meet staff from Galway University Hospital today, when he attends a meeting in nearby Merlin Park Hospital. A special board meeting of Hiqa was held yesterday and is due to reconvene today. A spokesman would only say the board was considering the request received from the HSE. Ms Halappanavar died at the hospital on October 28th, having presented with severe back pain a week earlier. She had been 17 weeks pregnant and was found to be miscarrying. Mr Halappanavar says she asked repeatedly that the pregnancy be terminated. This was refused, he says, as a foetal heartbeat was present. HSE director designate Tony O’Brien confirmed it was pursuing its own inquiry – now termed a “clinical review” – despite Mr Halappanavar’s refusal to participate. Mr O’Brien said even if Ms Halappanavar’s family did not co-operate, the review “must be brought to a conclusion”. There was “no way” the inquiry could be stopped as it would be “criminally negligent” not to proceed. He accepted the HSE had not been “as aware as it should have been” of the wider context and focused on the “clinical aspects” in its inquiry. Mr Halappanavar alleged that repeated requests by him and his wife for her pregnancy to be terminated are not documented in her medical records. In contrast, requests for tea, toast and an extra blanket are documented. via Reilly says new inquiry into Galway death is ‘not U-turn’ – The Irish Times – Fri, Nov 23, 2012. The husband of Indian dentist Savita Halappanavar, who died of blood poisoning in an Ireland hospital after being denied abortion, has demanded a public inquiry into the death. In an interview to Ireland’s RTE TV channel, Praveen Halappanavar said he would not meet the chairman of the Health Service Executive (HSE) inquiry into his wife’s death. The family, he said, wants a public inquiry funded by the government. “I had to answer the family back home… They couldn’t believe it. It was such a simple case,” Mr Halappanavar said on the channel’s Prime Time programme. Prime Time – RTÉ Player. via Prime Time – RTÉ Player. MINNISTER FOR HEALTH James Reilly has today said that he was “quite happy” to pursue the HSE inquiry into the death of Savita Halappanavar, stating that it has already commenced. His comment came in response to the continued calls of Praveen Halappanavar, via his legal team, that the investigation into his wife’s death should be a public one and that he would not cooperate with any HSE inquiry. There may come a point where, obviously, we won’t have the completeness of information without Mr Halappanavar’s input and to me that will be regrettable but I want to get the investigation to that point at least before we have any further public discourse on this. I would appeal directly to Praveen Halappanavar, who is a decent man, to meet with the chairperson of investigation team without prejudice because it is very necessary that the truth of these circumstances be found out. via Minister Reilly “quite happy” for HSE inquiry into Savita death to continue.